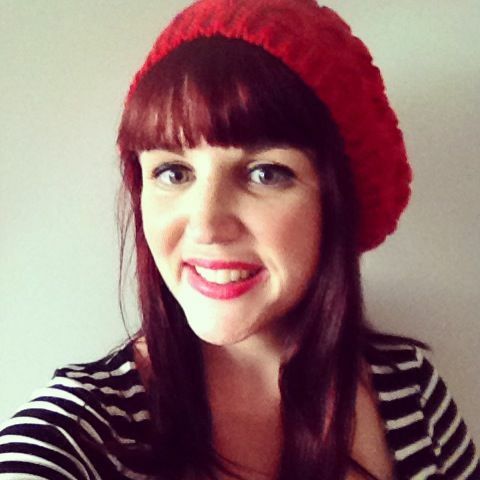 If you want to simplify your life then decluttering is so important. 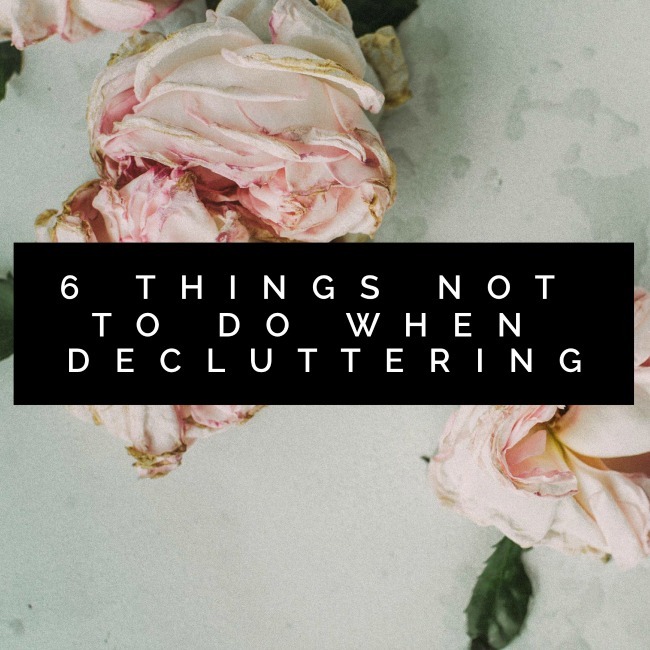 Here are 6 things not to do when decluttering that will help ensure it is a success! I’ve been on a gradual decluttering mission for quite a while now, so I’ve definitely learned the hard way on some of these things. Hopefully you don’t have to as well! Often we get all inspired to start decluttering and set aside a day to do the whole house in one go. This will likely result in overwhelm, frustration and just giving up. A much more manageable option is to choose a category, project or space and tackle them one at a time. Start with some small tasks if you’re new to decluttering (like these 30-minute or less tasks) and gradually work your way up to the more challenging ones. It can be so tempting to go out and buy lots of fancy storage options before you start decluttering, but try and stop yourself. If you do that you’re likely to just tidy up rather than actually decluttering or if you do successfully declutter then you will have wasted money on the storage options. Do your decluttering first, then figure out if you need any new storage to suit the items that you have decided to keep. Once you’ve done all your successful decluttering you’re likely to have a few piles of things around your home – to be donated, sold or thrown out. Try and deal with these as quickly as you possibly can, because leaving them lying around – even in bags or boxes – is actually still creating clutter. 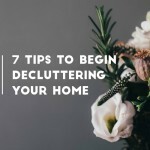 It’s also likely to stop you doing any further decluttering because you never get that feeling of lightness that comes from a good decluttering session. When we start decluttering it often feels like we only have to do it once and then we’ll be sorted, but that’s not always the case. Often it takes a few passes through some items – sometimes over long spans of time – before you finally let go of what you don’t need anymore. I know with my wardrobe I had a few items that survived multiple rounds of decluttering despite me no longer wearing them until I finally let them go. Come back to the space every few months and declutter again, you’ll be amazed at what you find to get rid of! Often we start decluttering after reaching a point of overwhelm or due to life changes, but starting in an emotional state can be make it more difficult. 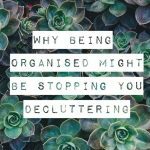 When we’re already upset decluttering can often feel all too much, and whilst you might be enthused to get started actually finishing the task off is unlikely. Alternatively, you might find yourself disposing of things because you’re emotional that you later regret, which might stop you decluttering again in the future. If you really need to kick off some decluttering to deal with things going on in your life, pick a space where you’re unlikely to have anything sentimental – like the kitchen drawers – and start there. You’ll get all the positive emotions of decluttering with way less risk. The last thing not to do when decluttering is to keep a pile of things just in case. It’s such a limiting way to declutter and you’ll find yourself putting most things back where they came from. It’s definitely not easy, but it’s so worth it. I did a whole post on just in case items if you need some added inspiration! 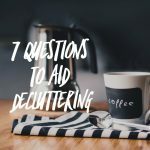 I hope these things not to do when decluttering are helpful – I’d love to hear your thoughts too! I’d been holding on to a heap of small boxes suitable for posting things (personal or biz) – just in case. I’d had some of them for years (some of them up to five years!). They were in good condition which is why I took so long to get rid of them. I know I should have posted them on a group or Gumtree but I finally put them in the recycling bin on Monday or Tuesday. Felt so good to get rid of them and be down one less thing.